Available in 17 sizes! 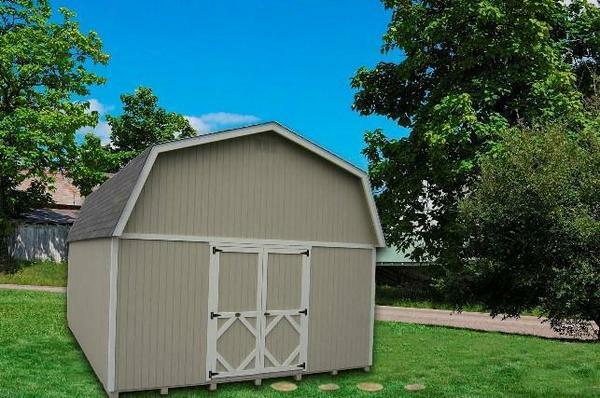 With double doors on the end wall, our Gambrel Barn is very similar to a traditional shed design, but with a slightly different roof-line which gives you a little more head-room. This classic style is ideal for storing lawn tractors and other equipment.